UlstermanBooks.com > Entertainment > We’re In The Home Stretch To Nominate, “THE WRITER”!!! 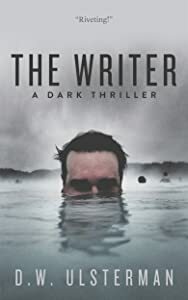 With your help, my latest novel, THE WRITER has been a Kindle Scout “Hot Pick” since it was entered for publishing consideration last month. Now just a few days remain and then I and all of you will find out if the publisher will choose to add the novel to its roster. The upside for all of you who voted is that if the story is selected, you will have an advance, FREE e-book version sent to you very soon after after which you’re urged to read it and leave a review before the story is then released to the rest of the public. So if you know of anyone who might be interested in a free mystery-thriller, let them know about the link and just tell them to nominate it and in a few days, we’ll all see how the chips fall. THE WRITER in your inbox soon!